Professional qualifications. Delia is a senior attorney specialized in energy law, coordinating the Energy Law department. She is specialized in the energy and the natural resources sectors, with a focus on electricity generation, distribution, supply and trading, the renewable energy sector and energy infrastructure. Areas of practice. Electricity generation, distribution and supply; renewable energy and energy trading; hydrocarbons and natural resources; regulatory compliance in the oil and natural gas upstream, downstream & midstream sectors; commercial and regulatory agreements in the energy sector; regulatory compliance in the electricity and natural gas competitive and centralized markets; energy infrastructure; finance, public procurement and PPP projects in the energy sector. Education: LL.M. Transnational Oil, Gas and Energy Law, University of Derby, 2017; LL.M. International Business Law, Nicolae Titulescu University, 2006; Bachelor of Law, West University, 2004. • Offering legal advice to investors acting on the Romanian energy market. • Providing legal support in relation to the development of energy projects. • Monitoring and ensuring regulatory compliance of operations in the energy industry, commercial and regulatory agreements regarding energy related operations in compliance with the Romanian and European legislation. • Advising clients during the entire process of planning, implementation, development and operation of energy projects. • Assisting clients in matters related to the Romanian energy market, such as registration on the energy markets, performance of energy trading activities or legal assistance on regulatory aspects and applicable procedures. Languages. English, German, Italian, Romanian. Professional associations/ memberships. Member of the Bucharest Bar Association; Founding member of EPG (Energy Policy Group); Member of the Associated European Energy Consultants (AEEC); Member of the American Chamber of Commerce in Romania – Environment and Energy Committee; Member of AHK – the German – Romanian Chamber of Commerce, Environment and Energy Committee. Contributions. Delia is a constant contributor to legal guides published by Global Legal Group (GLG) and Thomson Reuters (UK) in the electricity, mining and the oil & gas sectors. Pachiu & Associates is one of the most well-respected business law firms in Romania, having a solid reputation in providing international clients with solutions to the most complex situations a business can face in an emerging market. Since the establishment of the firm in 2002, the team at Pachiu & Associates made the motto “bound by excellence” an everyday confirmation of their practice. Pachiu & Associates’ broad expertise in energy related matters has helped international clients to take advantage of the great opportunities offered by the thriving Romanian energy sector, in both the renewable energy and oil & gas industry. 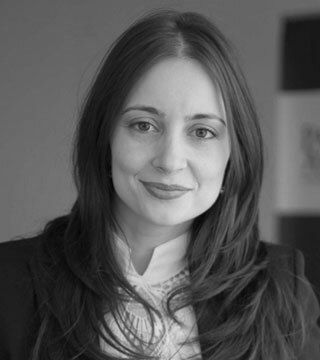 The Energy Practice Group, headed by Ms. Delia Vasiliu, provides legal support in relation to the set up, development and operation of projects in the renewable energy, natural resources and conventional oil and gas sectors. The team of attorneys has constantly been offering valuable advice on licensing and regulatory compliance matters, Greenfield projects and acquisitions, project finance and public procurement matters related to energy projects and energy infrastructure. Through its well-established network of partners, the team of specialized attorneys at Pachiu & Associates is assisting clients worldwide, identifying innovative solutions and ensuring a clear understanding of the legal and regulatory environment for their clients’ business. The highly motivated lawyers of Pachiu & Associates are also engaged in other key aspects of business law and they are able to deliver their services in English, German, French and Italian, with the same ease as they do it in Romanian. Our clients are mainly international corporate clients active in the energy sector, operating in the oil and gas exploration & production industry, in the mining industry, as well as banks, developers and operators of renewable energy power plants, public authorities, organisations and associations of companies active in the energy industry and in the electricity sector. Our clients further include companies active in the banking, construction, agriculture, media, advertising, IT&C, data protection industry sectors. Our attorneys are at the leading edge of the newest developments in the Romanian energy industry. We are forward looking and innovative, actively contributing to the drafting and updating of specific regulations in the energy industry, raising awareness on the most relevant challenges for the industry. We are helping our clients to foresee challenges that may impact their business and to find customized solutions.